I love the different seasons and enjoy each and every one. In the middle of summer, I am too busy enjoying the coastline here to think about winter. But then when winter comes, it has its own beauty. 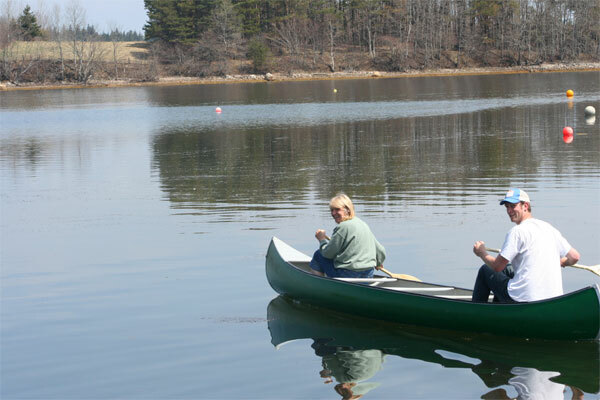 Here Cameron and I are taking out his canoe for a first trip on the Back Harbour at Lunenburg in 2008.
before paddling around the Bay and into Martin’s Cove. 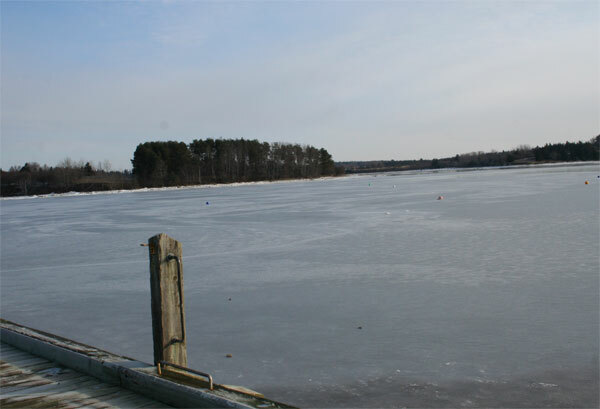 But every winter the bays change and are more suited to hockey, skating and fishing. 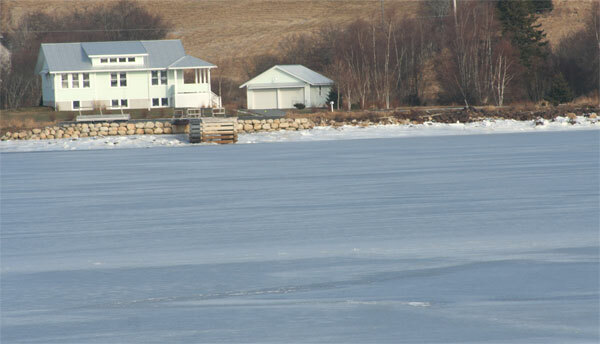 This is looking across from our launch beach. 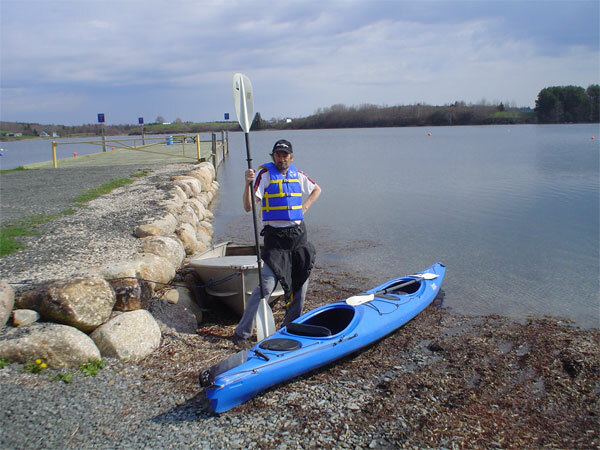 A few miles along the coast is Mahone Bay, where we first rented a kayak and tried out the sport. 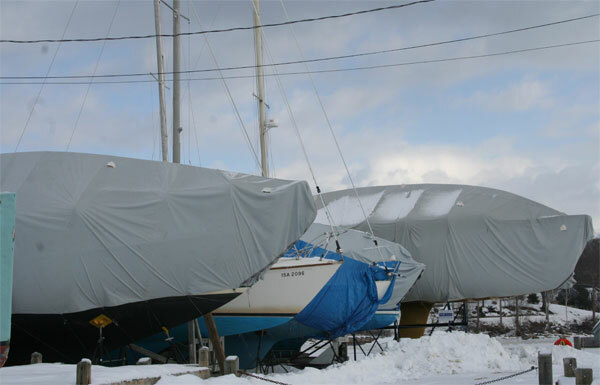 The yachts are all lifted out of the water and wrapped up for the winter. 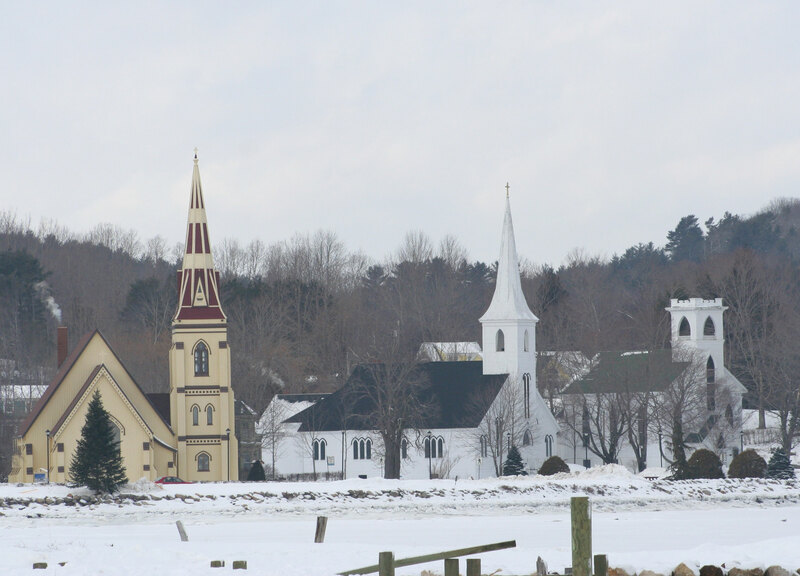 These three churches are on all the pictures and calendars of Mahone Bay. 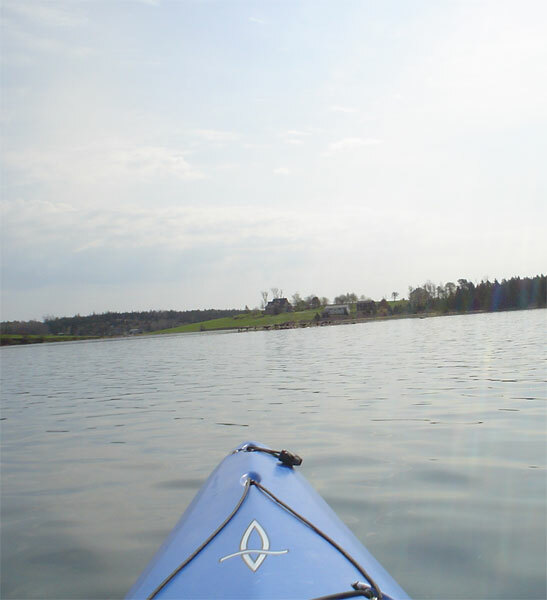 We kayaked around this island, on that first paddle. 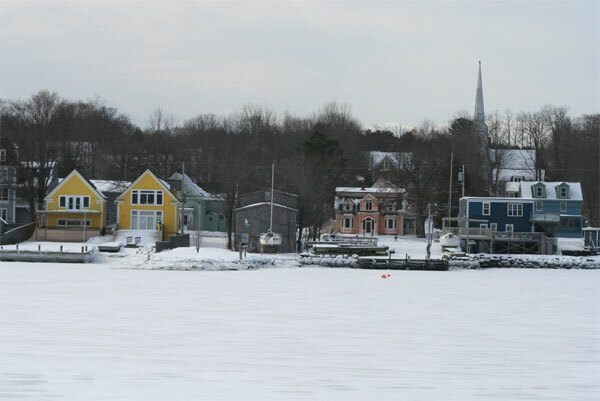 It is called Strum Island and is one of 300 islands in Mahone Bay. It was bought in 2003 and denuded of all its trees, causing a great deal of controversy. The owners built this massive mansion on it, which sticks up like a sore thumb. 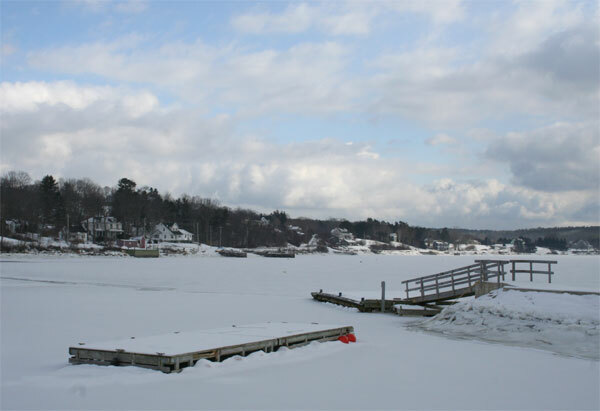 Looking across to the town of Mahone Bay from the Oakland road. That same wharf from the other side. 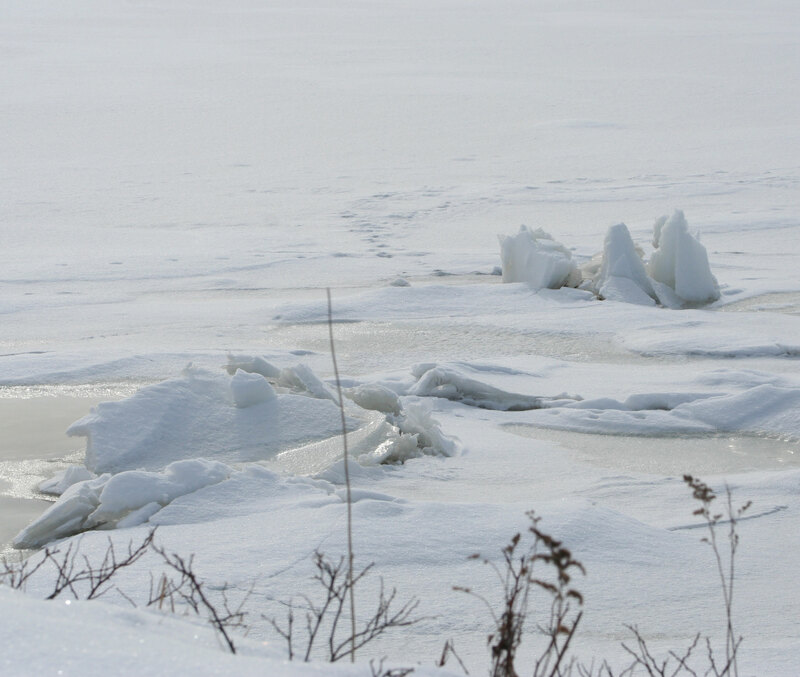 The ice splits and heaves up around boulders. 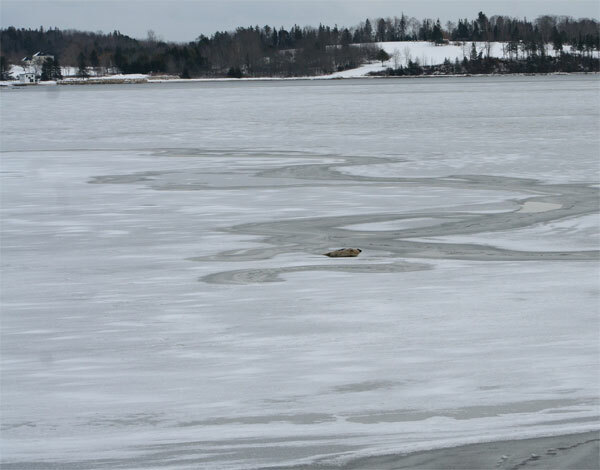 This seal found a break onto the surface to rest. But Jeff took this photo for me and didn’t seem to be able to zoom in! 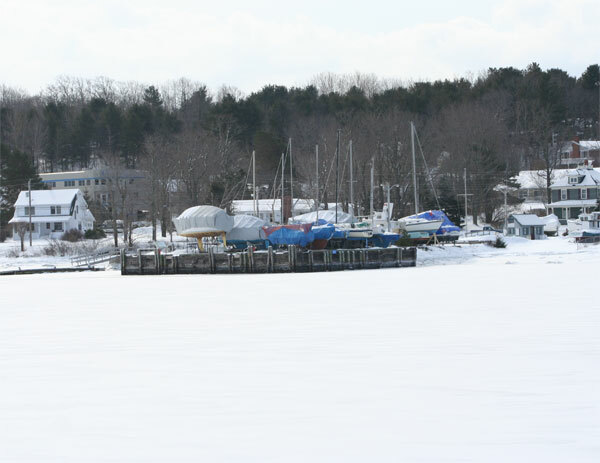 I dont seem to have photos of Mahone Bay in the summer – when it is packed full of yachts. That’s a project for this summer. I have always been interested in comparisons. Now seeing summer and winter photos at same time is really wonderful. Your winter photos are awesome. Photo number 7 is one of my favorite. Somehow it has resemblance of some Finnish town, but at this moment I cannot say with which. Thank You presenting these photos. 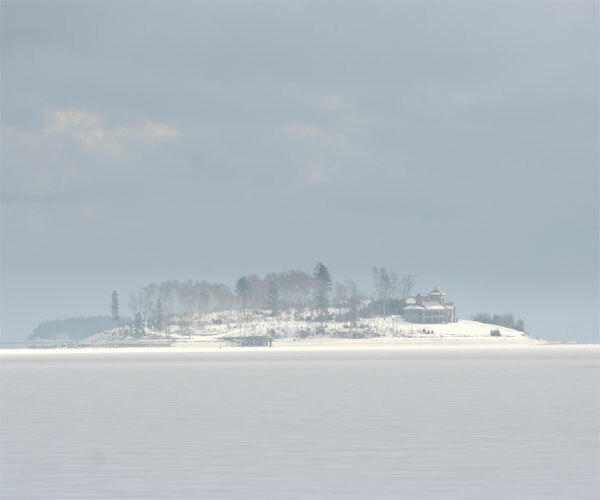 Thanks, in summer you forget about the ice on the bay and in the winter you have to look at your photos to remember the warm sunny days on the water.